KNOXVILLE - Zoo Knoxville and Rhizome Productions will host the inaugural Wild Vine wine sampling event on Friday, April 26, 2019, from 6:30 until 10:30 p.m. at the zoo. Tickets include a keepsake tasting glass for unlimited sample pours from participating wineries, breweries, and distilleries. Wild Vine is the sip of Spring with 100% of proceeds supporting the Zoo’s conservation work that is saving animals from extinction. Discounted early bird tickets are now on sale for $50. Zoo annual passholders and Circle of Friends members can purchase early bird tickets for $45. Early bird tickets are limited. Tickets and participating breweries, food trucks, animal encounters and entertainment updates can be found at zooknoxville.org. This event is for guests 21 and up and a valid ID must be shown for entry. 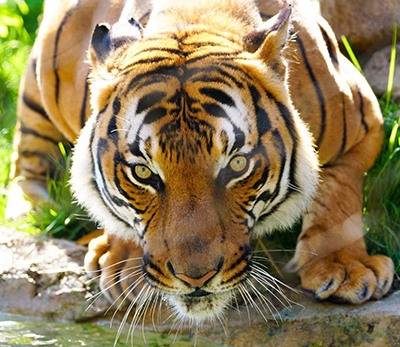 Zoo Knoxville is open daily from 10:00 a.m. until 4:00 p.m. Admission and ticket sales stop one-hour before the zoo closes. Rhizome Productions is an event production company based in Nashville.